Writing just is not getting any easier. One of the hardest things to overcome as a writer is finding the time to write. Because, truth is, life is in the way. Jobs, family, friends, college, and anything else in your life that just keeps blocking your keyboard, the way to your imagination and writing. We do not all have the time to write ten thousand words a day. Which is exactly why there are tips and tricks to finding the time to write. 1. Commitment. As a writer, there is a lot you have to commit to. It is almost like selling your soul to the Devil once you release your imagination and become a writer. There is no going back. Which is why as a writer, you have to be committed. There are no buts or ands in the world of writing. Taking the pledge as a writer means always sticking to what you do best. Which is writing. You always have to remember that. Staying committed will lead to success. But if you do not commit yourself to the world of writing, well, let’s just say you will not be too successful. 2. Your schedule. Our schedules are constantly packed tight. Meetings at work, going out with friends, or just being lazy for once. What you can do is you can tweak your schedule a little (just a little) to make a little time slot to write. 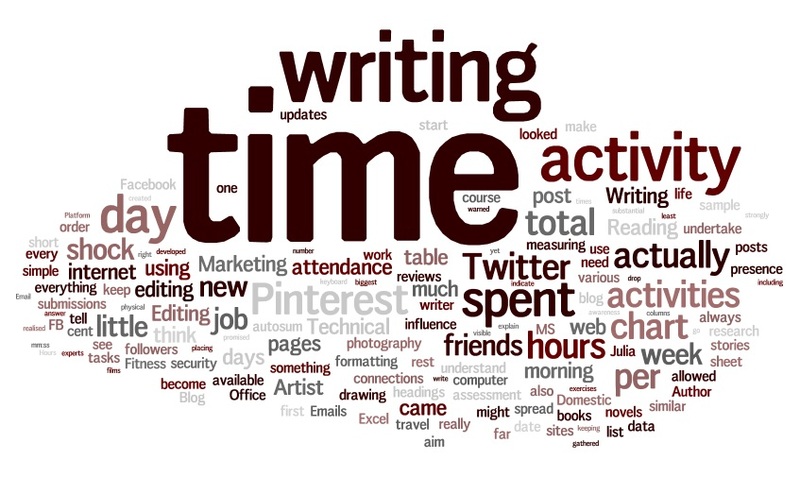 Take some time out of exercising at the gym or catching up with friends to commit yourself to writing an hour a day. Though your schedule might be packed from one end to the other, you need to find just a few minutes in a day to type up a storm cloud of words. 3. Set a goal. Goals are always good. Setting a goal is always a good idea. After finding the time in your schedule to write (see above), you will need to set a goal. How many words you want to write, how long you want to write, and what you are going to write today and what you want to accomplish. Making a goal of writing five thousand words in an hour and successfully completing one chapter will bring you closer and closer to slapping “The End” onto your novel or short story. You can also set a bigger goal. Such as when you would like to finish your book. If you want it finished by December, sort out how many words you will have to write a day to be able to reach your goal on time. There is nothing like succeeding. And, let’s not forget, if you fail, try, try again. 4. There are going to be those days. You are a writer. You are going to have those days when you feel lazy, or burnt out, or your inspiration seems to have been sucked right out of you. And that’s okay. You do not always have to write. Take a break, a deep breath, and just relax. If you go too fast, you are going to tire yourself and your brain out. And we wouldn’t want that, would we? Take a day, or a week, off. Replenish yourself until you feel better and ready to write again. 5. When life gets in the way. That is another obstacle, isn’t it? Life gets in the way with everything. We cannot spend an entire week on our laptops writing or scribbling away at our notebooks without life coming back and snatching you away. Don’t become a social recluse or ignore family and friends just because you want to write. If life gets in the way, do not ignore it. 6. Words. Ah, yes, words. Aren’t words what make us writers? You are going to need words, so always keep a dictionary or your phone near you in case you need to look up a synonym for beautiful or you need a word that means repulsive. 7. Write. This is probably the most important advice of all. There is nothing else to say except write. Also, I would like to thank the Dollar Shave Club for this amazing opportunity. I really appreciate it. If you have not heard of the Dollar Shave Club, they are this amazing organization that supply razors (handles included) for a low monthly fee ($1, $6, $9.) How it works is: You pick out a razor, then select your monthly fee, and the Dollar Shave Club will send the razors to your door. It’s simple, easy, and no trouble.